The visible Brain of your business!! 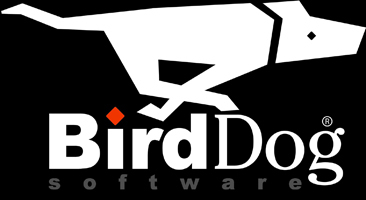 BirdDog Enterprise software's CRM technology allows you to easily track customers, leads, contacts, projects, to-dos and so much more. Whether you are looking to manage workflow more efficiently or to add real-time visibility into every department, this is the solution for you. Includes a High Quality, HTML email campaign engine! Easy to use. BRAIN CRM is a 100% web-based CRM application designed to help sales, marketing and customer service departments exceed their expectations in an easy-to-use, productivity driven environment. You’ll impress your contacts with quick, in-depth responses from initial customer contact long after the sale is made. Customize it. BRAIN is built to adapt to you. Not the other way around. It is easy to shape to your individual needs. In fact, you can easily customize fields, tabs, screens and more. BRAIN CRM has more features. It’s more user-friendly and it adapts to you with incredible customization. Cost-effective. BRAIN CRM is more economical than other hosted applications with more features and is more user-friendly. BRAIN CRM can be purchased as a traditional software license or as a subscription service (SaaS). Our SaaS solution offers no annual contracts or long-term commitments. Your contract is month to month. We are confident you’ll agree it’s the best CRM software available anywhere. The CRM software that does it all. BRAIN CRM offers the features, flexibility, customization and budget-friendly CRM application that you’ve been looking for. From implementation, compatibility, and performance to scalability, upgrades, support and on-line chat, BRAIN CRM provides a complete solution.